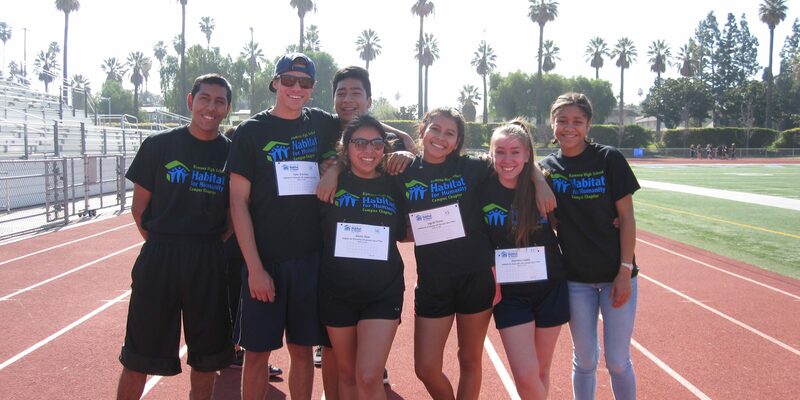 On Saturday, March 11th, the Ramona High School Habitat for Humanity Campus Chapter (Ramona Campus Chapter) held their 5th Annual Lap-a-Thon Fundraiser in support of Habitat for Humanity Riverside. Proceeds from the event will support our A Brush with Kindness program, offering exterior painting, landscape, and minor exterior repairs for mobile homeowners typically seniors, veterans, and persons with disabilities who cannot afford to or are unable to do the repairs themselves. Students from the chapter volunteer with these projects several times a year. 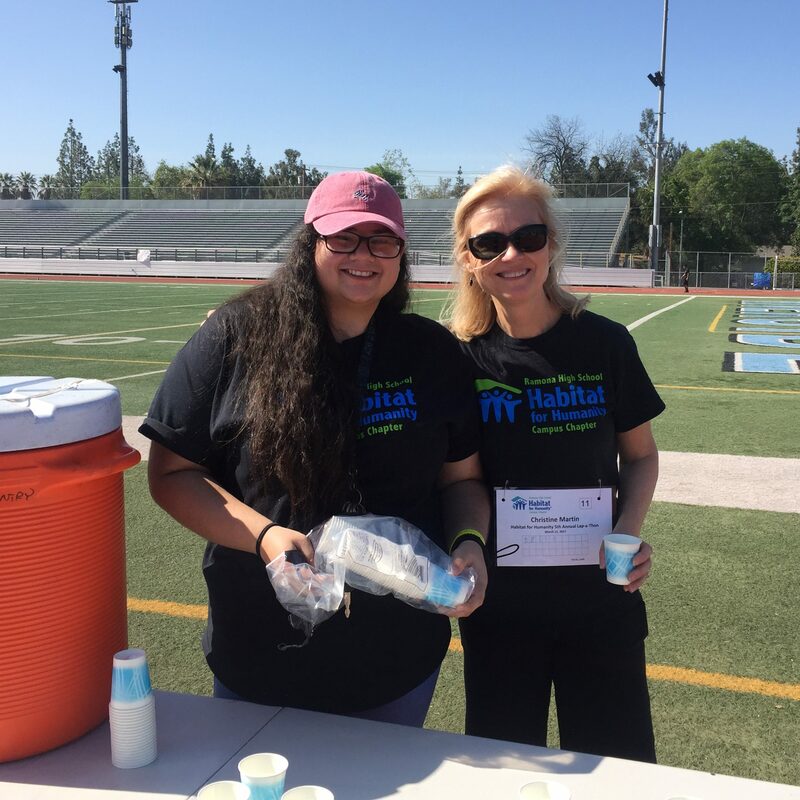 Leading up to the event, members of the Chapter and event participants rallied friends and family to donate to the cause and sponsor their laps. 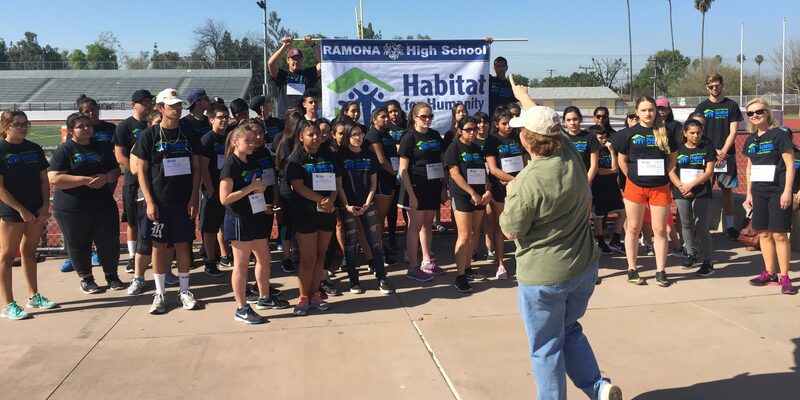 The event started with a motivational speech from Habitat for Humanity Riverside’s Executive Director, Kathy Michalak. Participants were then led in a group stretch and lined up. As soon as the countdown reached one, participants starting running, walking, and jogging, eager to reach their lap goal. 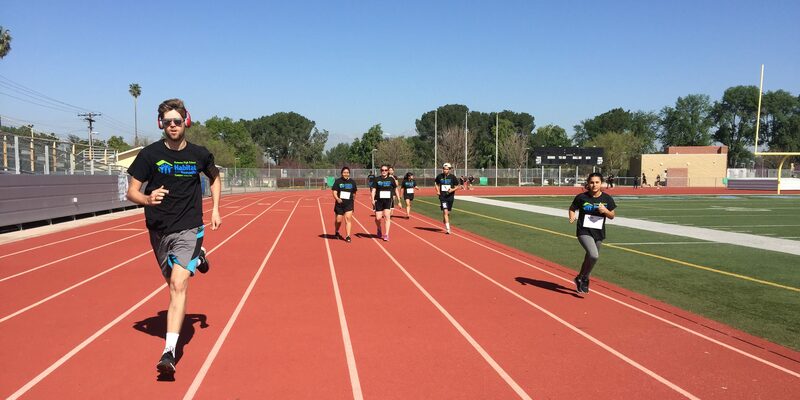 Friends and family sat in the stands cheering and motivating everyone to ‘go that extra mile’… literally. 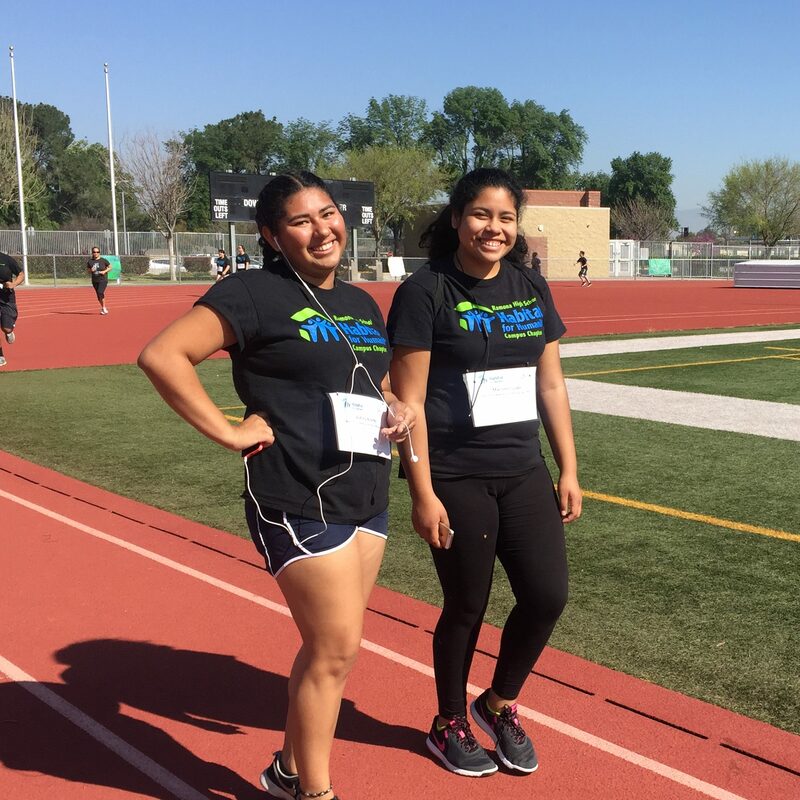 As participants ran, volunteers kept track of each completed lap and encouraged each other. Donations are still pouring in to support this event. So far the Ramona Chapter has raised over $2,000. 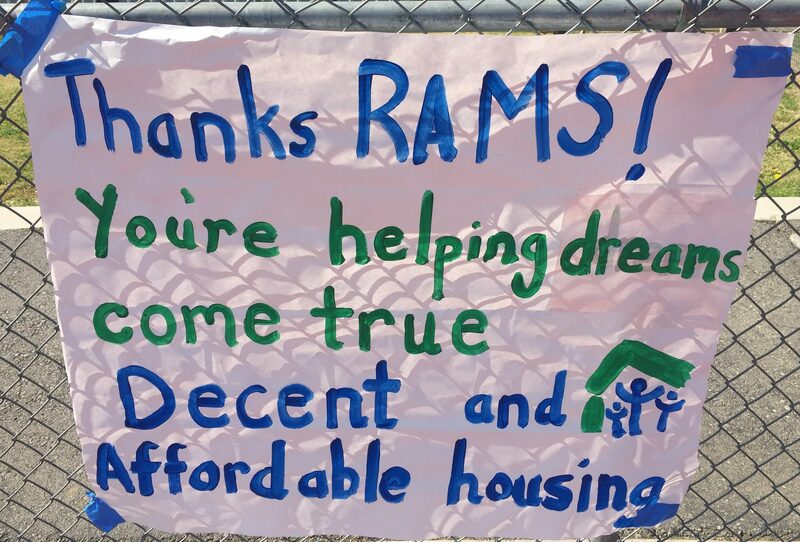 We are proud to partner with Ramona High School for the work they do to support decent and affordable homes in our communities.